With Greystone you can cope with a lot in Paragon. 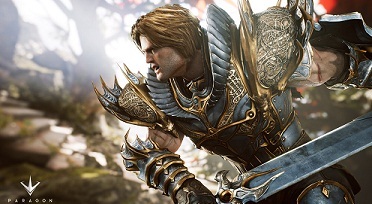 Through his abilities opponents are kept in check and think about him often several times if they pull in one on ones in the fight against Greystone. With his splash damage he won’t cause much effect at individual locations, but he is extremely helpful against Minions or fleeing opponents. Overall, this noble knight is a very good selection for many playing styles. If you gank, push or stand as a tank in the front? Greystone is your man for all these cases. With this hero you can go bold in fighting. However, it is advisable to switch with him the Lanes and occasionally attack an enemy ambush. Besides the general surprise, Greystone makes a lot of noise and may also pursue his enemies well and plug damage without fear. Your focus should be on him cards / items, which strengthen his physical damage. Furthermore, you should increase his attack speed and some life. With additional HP you can extend a fight, but primarily it should be your goal to end it quickly. By high and rapid damage your opponents will have a hard time and your passive ability Stoic gives you extra armor and vital energy. At the beginning of the game try to find Paragon Lanes and accumulated some experience points. Once you are ascended up two levels, you can try in ganking. Greystone is better very quickly, so you can achieve good effects, while the other heroes still hone skills. - Make Way: You generate splash damage around you, which lasts 5 seconds. - Storm The Gates: You jump over a distance of 1000 forward, causing damage to your charge. - Stoic: You get through the passive ability both physical defense and life. The ultimate capacity of Greystone is new forged. This is also passive and leaves you after death, fall short charging time directly back to a part of your life energy into the fight, where you may cause a lot of damage to all enemies in the area. With this powerful arsenal of Skills and Abilities you can strongly engage with your enemies, and continue the fight. Greystone has a few weaknesses, but beware of several rangers, because you have only one Leaping Ability and they can attack you tactically.